Date: May 10 2018, 2 p.m. - 3 p.m. 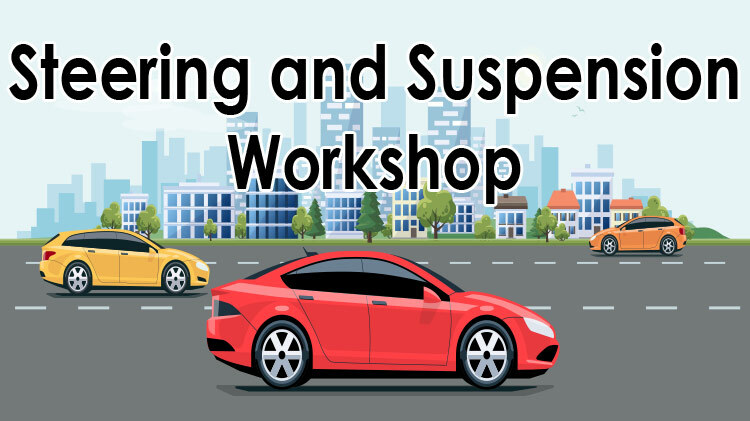 Learn Basics of steering and suspension in this course. The course will cover components of the steering and suspension systems and the different designs used over the years in the cars and pick-up trucks. For more information, call +1 (580)442-4147. Classes and services are open to authorized MWR patrons. Sign up in advance by calling at +1 (580)442-4147.